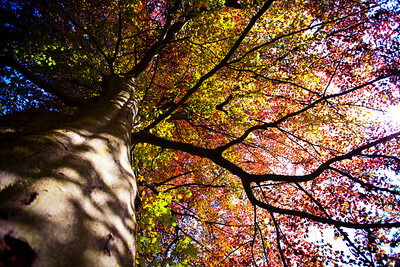 Nature can be a great source of inspiration; we are surrounded by beauty all over the world. However, we are often too focused on our daily tasks to notice it. Flowers are also inspirational; they are colorful, beautiful, and their smell can take our minds to travel to the most peaceful places. And they are just one of the many instances of beauty that nature provides. These beautiful apricot flowers announce the beginning of the warm weather. Spring officially starts toward the end of March, but trees are beginning to be covered with flowers. 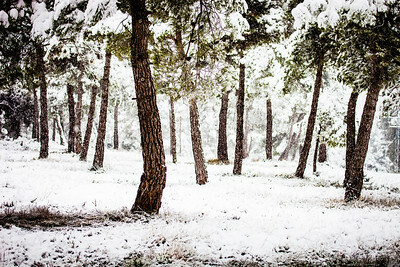 It seems to me that winter is getting shorter each year, but warm days are always welcome.Do you like this photo? Get Your Print or Get It as a wallpaper. 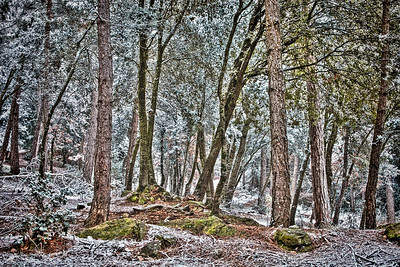 The night before I took this photograph, a thin snowfall covered the ground. I decided to visit a nearby forest and look for good photo opportunities. However, with the first morning light, the snow began to melt very quickly. It did provide me with the unique opportunity to capture this image, where it appears to by raining on a sunny day.Do you like this photo? Get Your Print or Download it as a wallpaper. 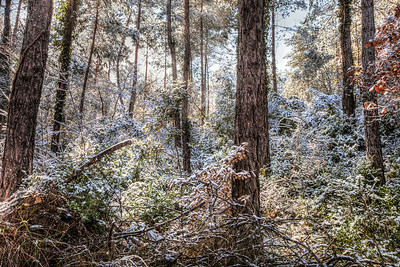 The night before I took this photograph, a small snowfall partially covered this beautiful forest. The morning light was amazing; it was a cold and cloudy day, but under the trees, the visibility was great. Without any sign of the usual mist, I was able to capture even the most distant trees in great detail.Do you like this photo? Get Your Print or Download it as a wallpaper. 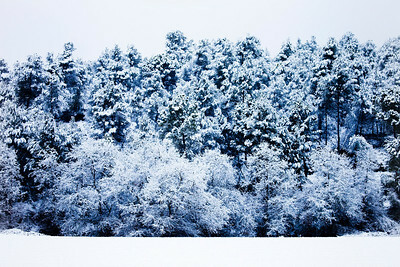 Last winter, we had a snowfall close to my home, not a big snowstorm but big enough to coat the ground. This photograph has been waiting since then to get to final editing. Maybe is because a new winter will arrive in any minute now and the temperature is falling down quick but I feel like it is the right time to publish this shot. Do you like this photo? Get Your Print or Download it as a wallpaper. Today it is the first spring day and I think that it is quite appropriate to share with you this shoot, my first flowers of the season. 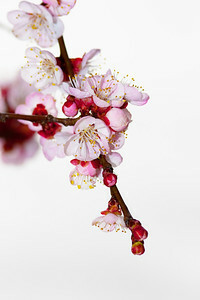 Many trees are in blossom around my home; apricot, cherry, and almond trees, just to name a few. This bloom belongs to a new almond tree in my garden. It is quite young, but who knows, maybe I will be able to taste the first almonds this summer. Do you like this photo? Get Your Print or download it as a wallpaper. 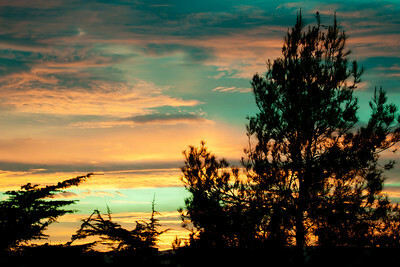 As I arrived home, I was struck with by these beautiful sunset colors. I did not have much time, but I quickly grabbed my camera to capture the moment before it passed. 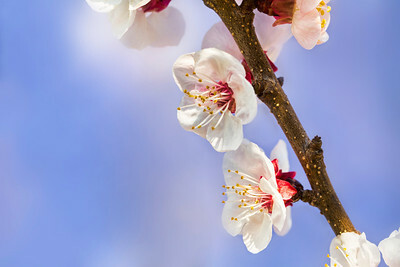 Apricot trees provide delicious fruit, but before they ripen, the tree delights you with the beautiful sight of its flowers.Do you like this photo? Get Your Print. It looks like a lonely flower in the meadow, but field was full of them. 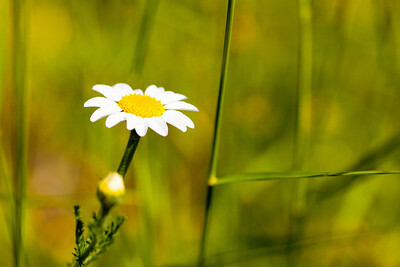 Chamomile is a common name for several daisy-like plants commonly dried and used in tea infusions. 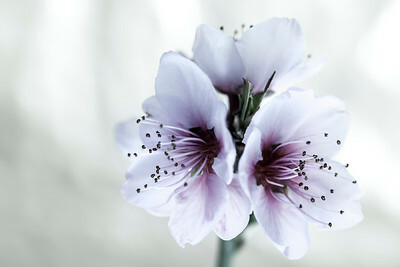 This delicate flower, served with either honey or lemon, can help you to sleep peacefully.Do you like this photo? Get Your Print. 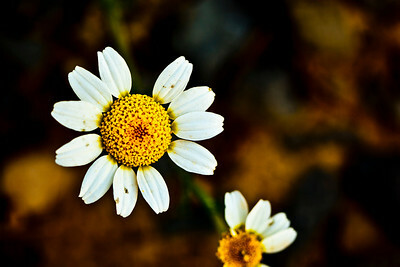 Everything has an end; chamomile flowers are beautiful but fragile. However, life is a circle and when one age ends a new one begins.Do you like this photo? Get Your Print. 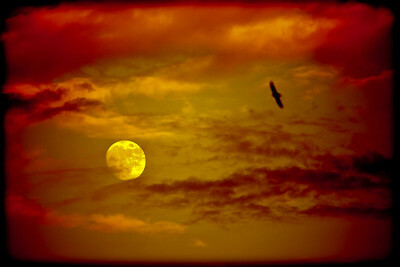 It was dusk and the full moon was shining through the sky. It was quite cloudy and as I decided to snap the photograph, this bird appears in front of my camera, adding more mystery and drama to the composition. The dandelion had always been a beautiful yellow flower but as it dries, this great and fragile ball of spores replaces it. 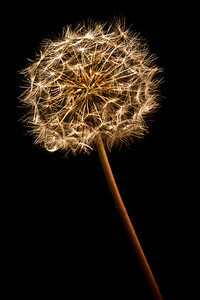 The rumor is this fragile little flower will grant you a wish you blow the spores into the wind. 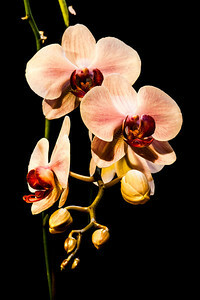 Orchids are highly photographed flowers and there are many images of them. 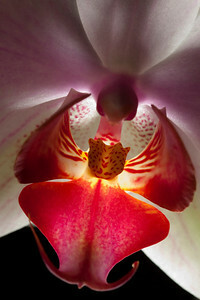 I wanted to capture a unique image with this close up shot of a backlit orchid.Do you like this photo? Get Your Print. With the first signs of warm weather approach, the apricot tree responds with delicate and colorful blossoms.Do you like this photo? Get Your Print. Orchids are the most highly coveted of all ornamental plants; the delicate, exotic, and graceful orchid represents love, luxury, beauty, and strength.Do you like this photo? Get Your Print. 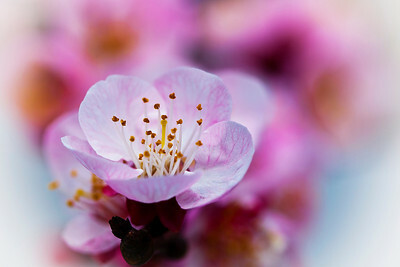 These beautiful apricot flowers announce the beginning of the warm weather. Spring officially starts toward the end of March, but trees are beginning to be covered with flowers. It seems to me that winter is getting shorter each year, but warm days are always welcome. Do you like this photo? Get Your Print or Get It as a wallpaper.